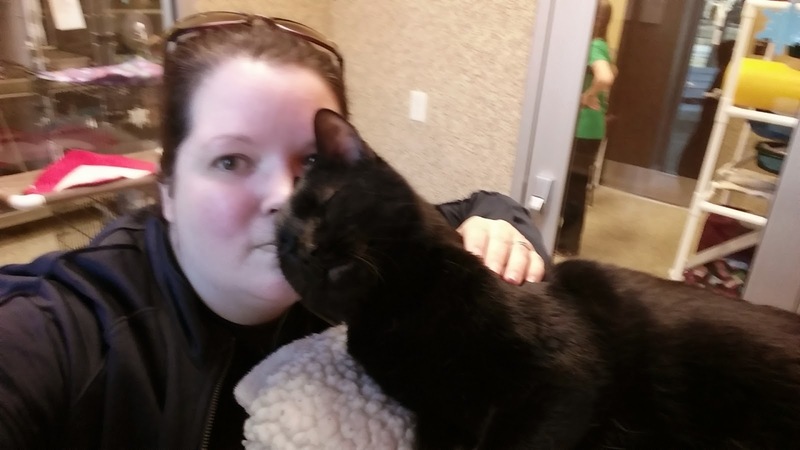 I met the sweetest four-year-old house panther at Great Plains SPCA last night. 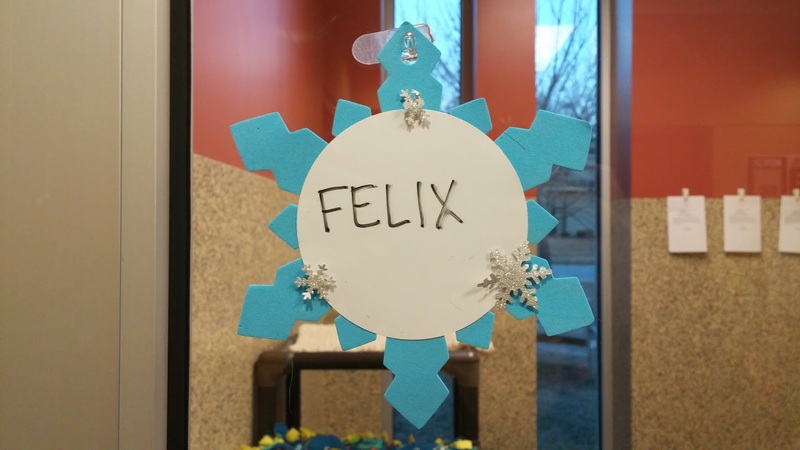 His name is Felix and he's awesome. 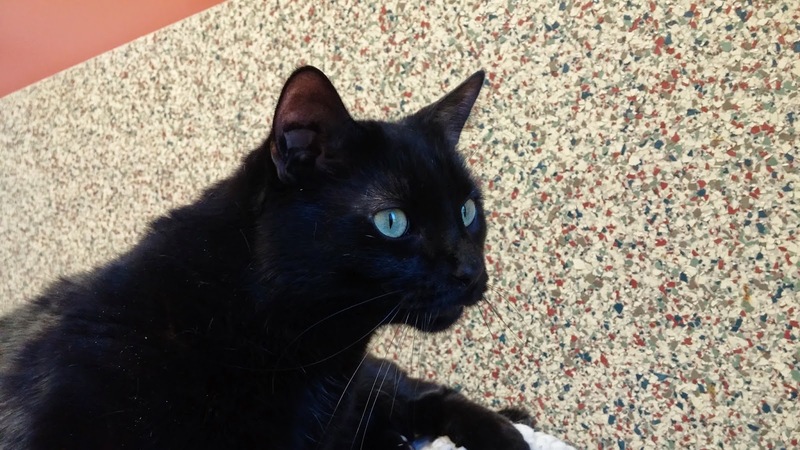 Felix is almost all black, save for a tiny white patch on his chest, with gorgeous green eyes. His looks aren't what makes him so special though. He has a great personality! He's very lovable. As I was trying to get a picture of him, he just wouldn't hold still. He kept rubbing his face on mine! I took the time to clip his nails and run the Furminator over him a few times. He was so patient! He didn't fight me at all while I was giving him his pedicure. We played a little bit with the trackball toy. Although he wasn't overly playful, he was interested. Another thing I loved about him was his goofy expressions. He is just so adorable! 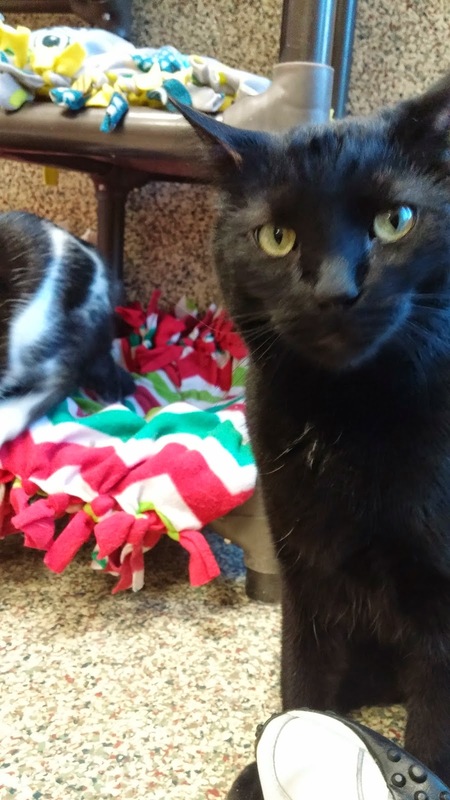 Felix is rooming with three other kitties right now, so we know he gets along with other cats. He is a purr machine and has tons of love to give. He's going to make a great addition to a lucky family! It's no secret that I love holidays, my favorite being Halloween. Today is another important holiday: National Cheese Lover's Day. And boy, am I a lover of cheese! I even have cheese-colored kitties. That's dedication. I created a little cheese plate to celebrate. Slices of swiss, gouda, and havarti were included. 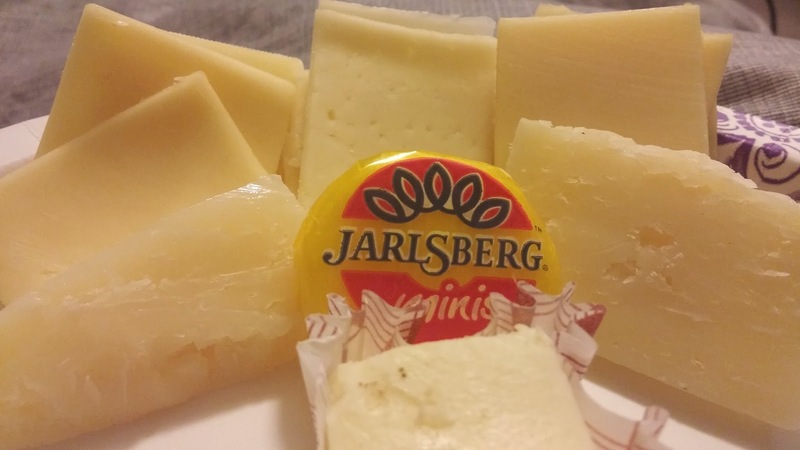 I tossed in a Jarlsberg mini and I had to have my favorite cheese, Manchego. I wrapped it up with a cheesecake bite. Along came a little cheese thief. 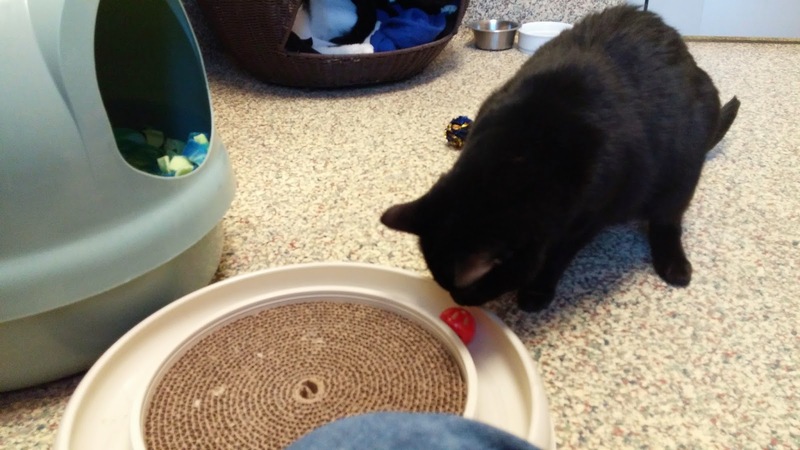 Lowenstein is known for reaching his left paw out and swiping food off of any plate he can reach. 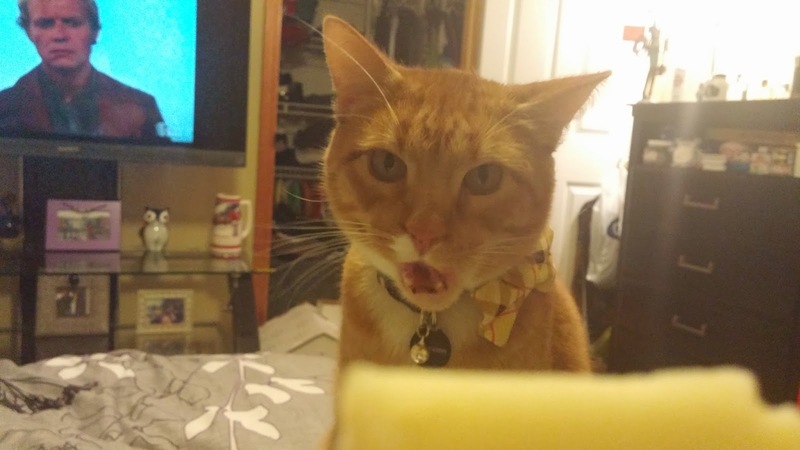 Since he was the only kitty around, I let him try a little bite of cheese. 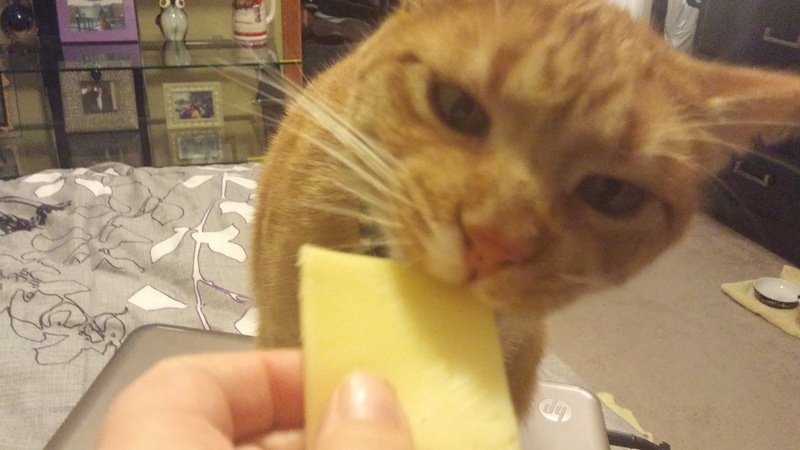 Happy National Cheese Lover's Day from me and Lowenstein! Books and cats and fair-haired little girls make the best furnishings for a room. We added a new family member last weekend. 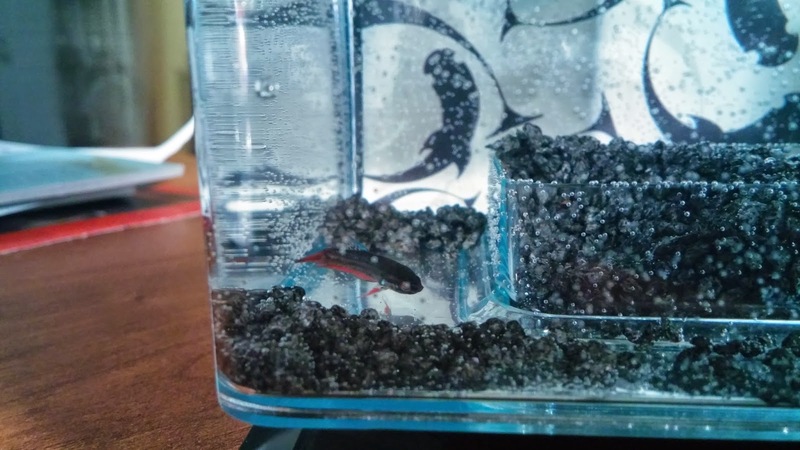 It's a baby fish! Meet Puma. Harvey has been trying his best to make him feel welcome. Hi, I'm Harvey. Nice to meet you. Then he tried to pet him. 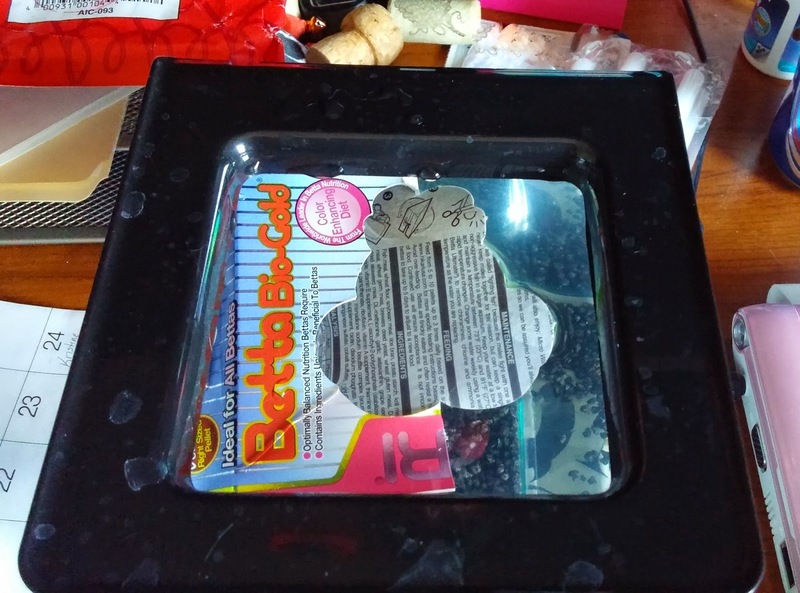 A package of pellets should be plenty. We aren't allowing any unsupervised visits yet. We're not sure Puma wouldn't turn into sushi. ~from "A Poetical Description of Beasts"
Are you looking for a cat-centric book for the little one in your life? 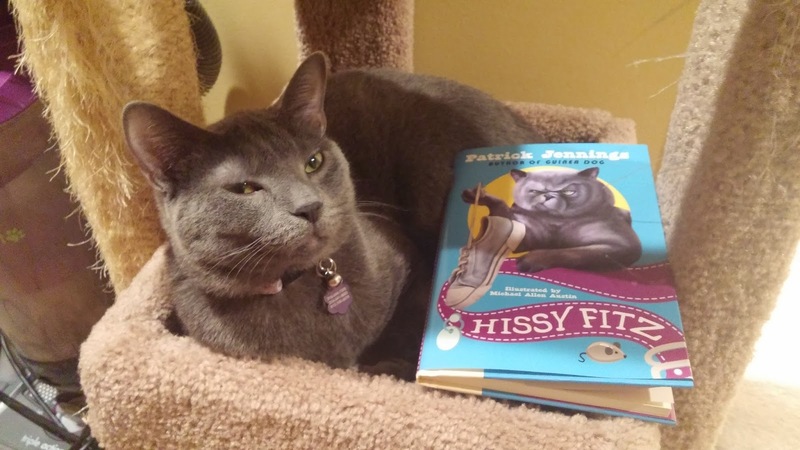 You should check out Hissy Fitz by Patrick Jennings. 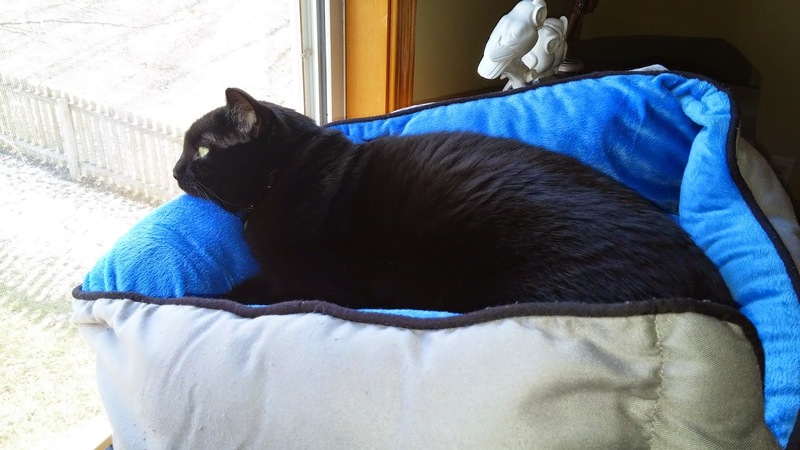 Hissy is a cat who isn't getting enough sleep because of his noisy family. Dad makes banging noises all day and then when the kids get home, if Georgie isn't talking his ear off, Zeb is chasing him around the house. How is a kitty supposed to get any rest? His name comes from all the hissing he does to express his disgust with the humans in his life. Stilwell doing his best impression of Hissy. 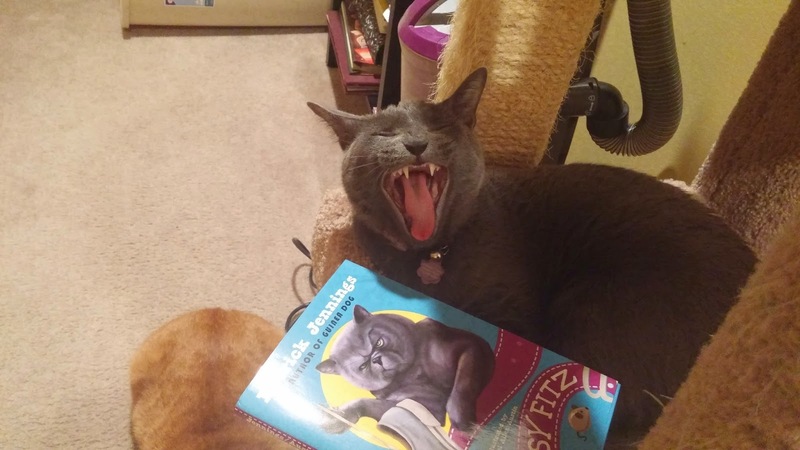 Hissy Fitz is a chapter book suited for kids 7-9 years old. The chapters are short and easy for the young reader to handle. The book teaches a useful lesson about the proper way to handle a cat and how to read his signals. Hissy is a loveable character, he just isn't loved in the way he wants to be loved. 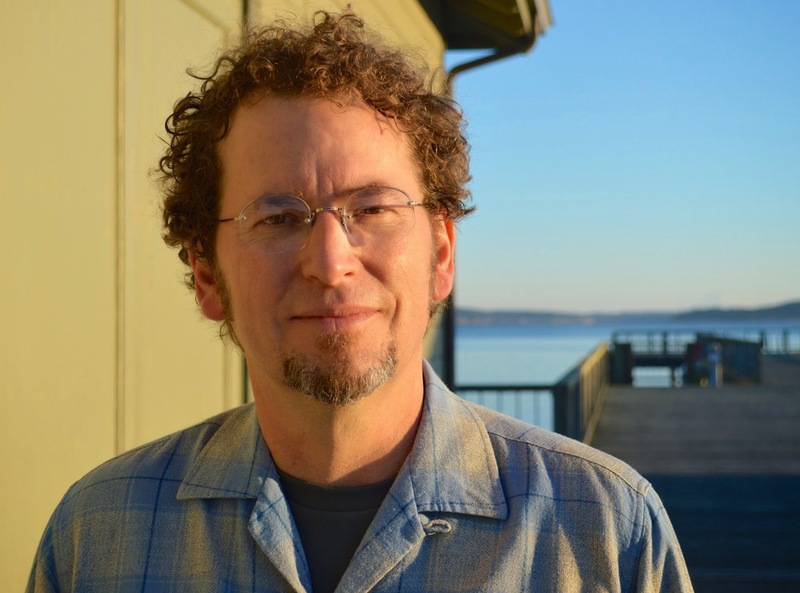 Patrick Jennings is also the author of Guinea Dog and teaches creative writing to middle-schoolers. The story is accompanied by black and white illustrations by Michael Allen Austin. 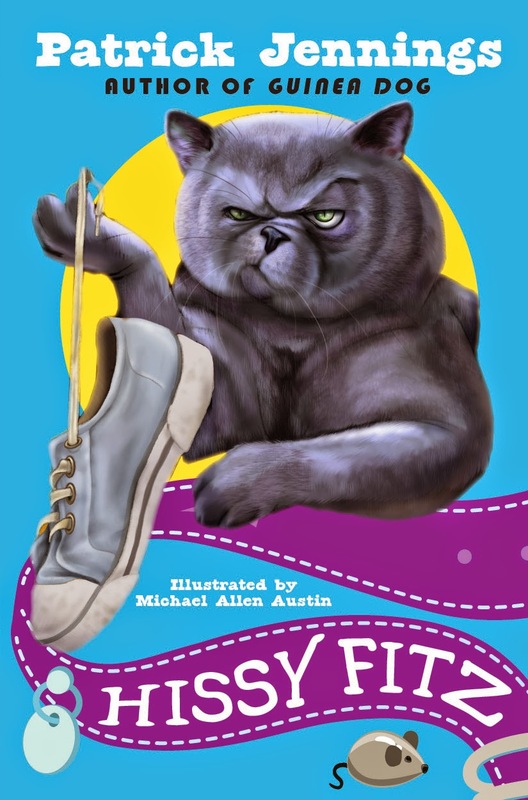 You can win your very own AUTOGRAPHED copy of Hissy Fitz from the publisher, Egmont Publishing. Just enter below. Sorry, this giveaway is only open to residents of the United States and Canada. As many of you know, Evelyn lives in our bedroom. 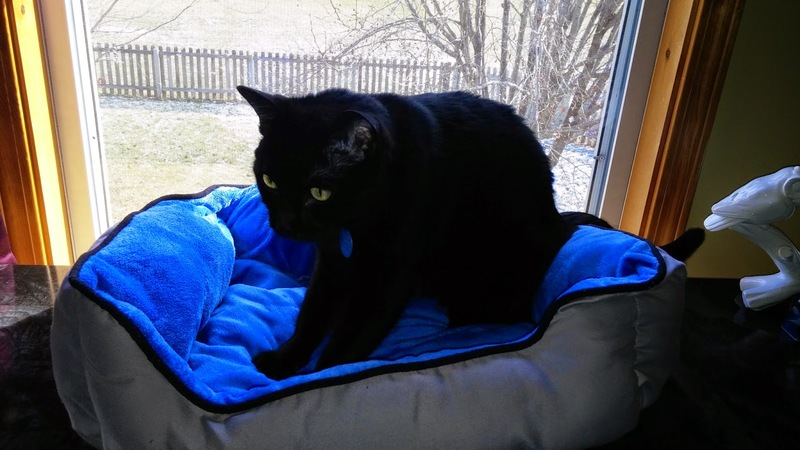 Stilwell was making her life miserable and now she's more relaxed and happier than ever. She spends a lot of time on my dresser, looking out the window. A couple of days ago, I moved the dresser so that it was directly in front of the window. There is a blanket on the dresser, but she enjoys laying in our laundry basket so I thought she would like a bed there instead. 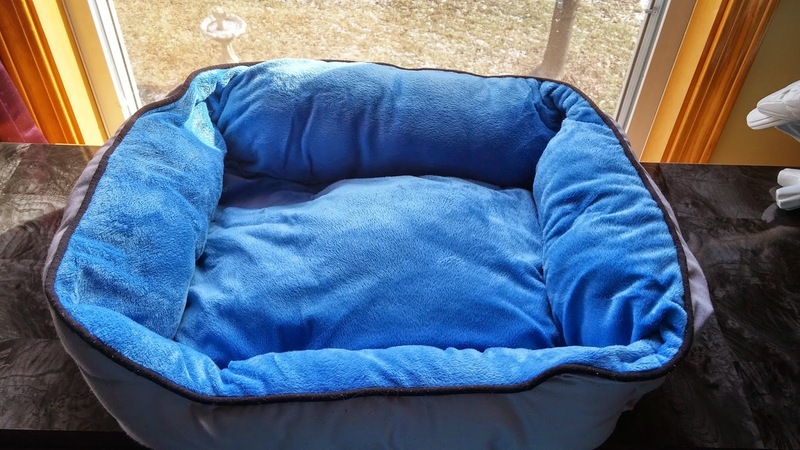 I asked my husband if he would be okay with Evelyn using Sebastian's old bed. 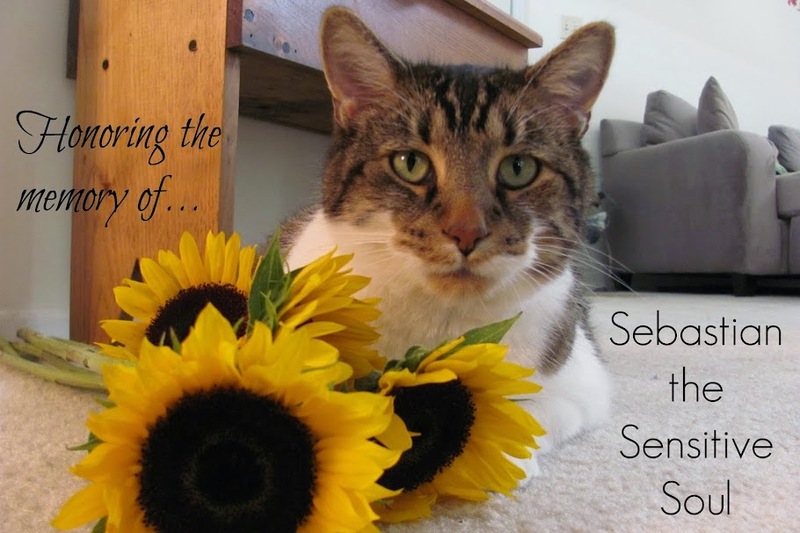 Seb went to the Bridge 2 1/2 years ago and a lot of his stuff has been in a large Ziploc bag since the day after he died. My hubby was okay with it, so I got it out. 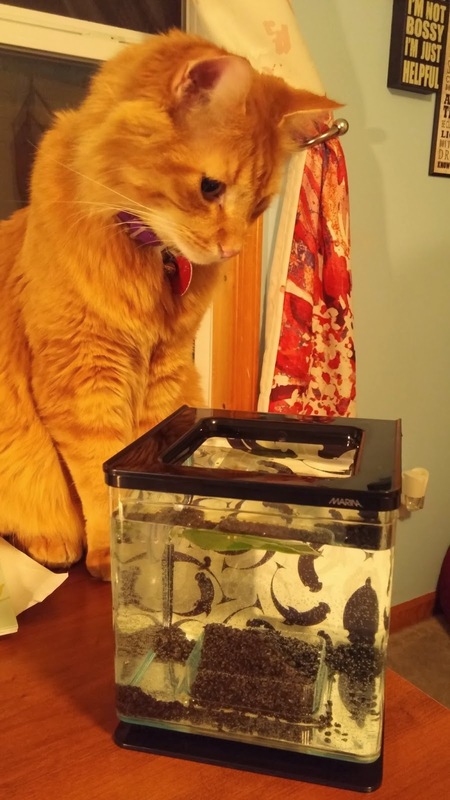 I placed it on the dresser and let Evelyn check it out. 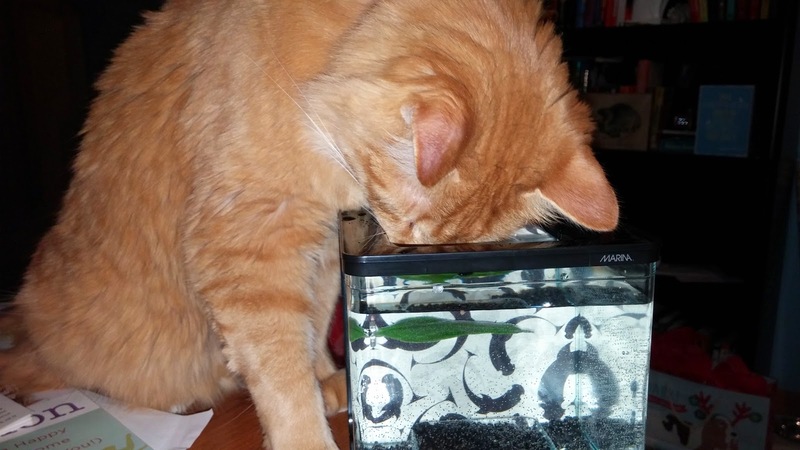 She sniffed it all over before she decided she could get in it. It didn't take long for her to decide it's the perfect spot to nap or to watch the birds in the trees. 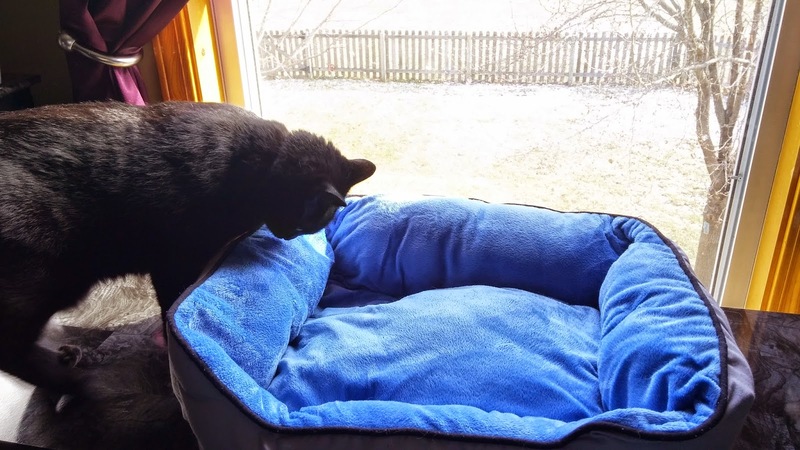 Making biscuits in the new bed. 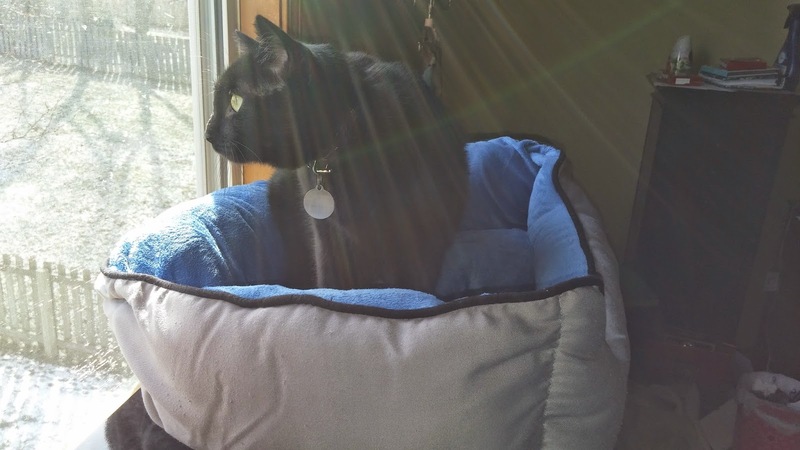 I love that she is using Sebastian's bed. It makes me happy to know that she can feel the love that I gave to him and he gave back to me, all through a cozy place to sleep. I came across a cool little toy at Target the other day. I had never seen it before and hadn't heard the brand name either. It's the HEXBUG Nano Robotic Cat Toy. I brought it home, took it out of the package, turned it on, and let it go on the kitchen floor. It was an instant hit! All 3 of the boys were entranced. They played nicely together and took turns batting at the buzzing bug. Even after Lowenstein picked it up and carried off his kill the fun continued. 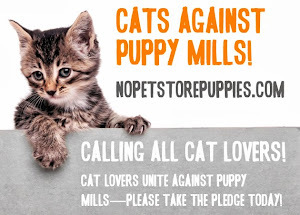 I decided to check into the brand and found that these little critters didn't start as cat toys. However, we cat owners are a smart bunch. 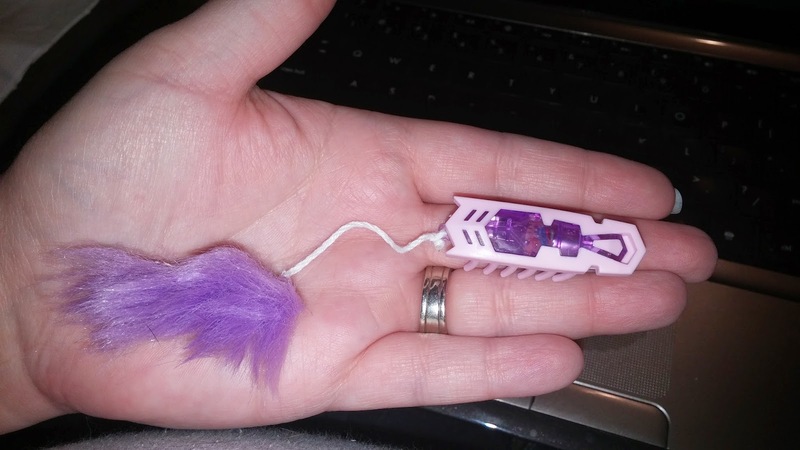 I found many instances of people who bought the toy (which didn't have the attached feather) and let their kitties have at it. You can search for cats and HEXBUGS on YouTube and see lots of videos of the encounters. 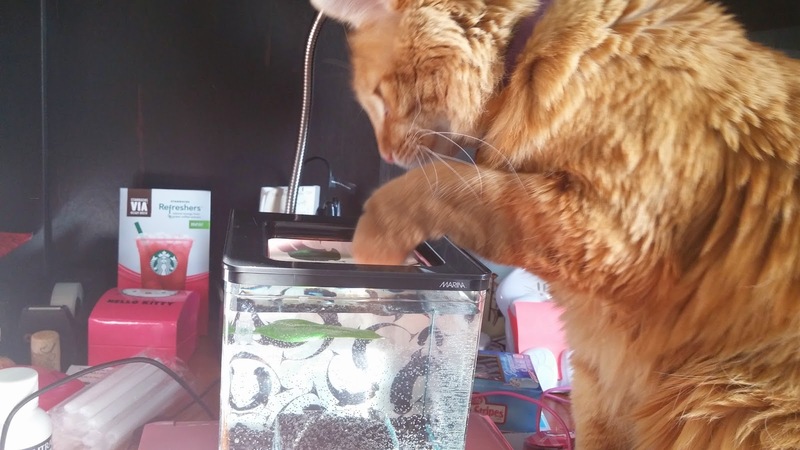 They put them in boxes and bathtubs, or released several at a time and the cats loved them! I couldn't keep this great find to myself! I went back to Target and bought the last two they had. Now one of them could be yours! 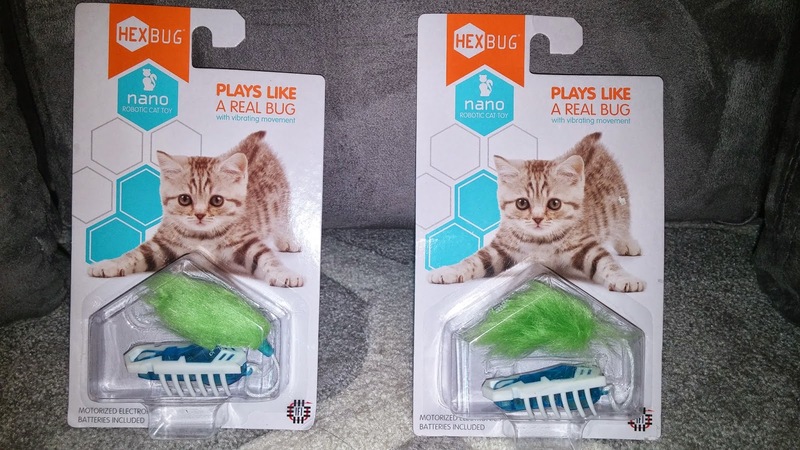 I'm giving away a HEXBUG Nano Robotic Cat Toy to two readers. The giveaway isn't sponsored by HEXBUG, nor do they have anything to do with this post. I just loved the toy so much that I wanted to share it. You can always buy your own-they sell for $4.99 on the HEXBUG website. That was the same regular price at Target. If you already know about this great little toy, let me know what you think.